Does alcohol negatively affect my workout? Enjoying a post-workout beer or two seems harmless enough. But alcohol and fitness have a complex relationship; and while bingeing on booze is definitely out, does one drink really make that much difference to your workouts? There’s little doubt that stopping drinking alcohol can make you feel healthier and save you money. There’s also little doubt that alcohol has a detrimental effect on your sporting performance. The good news is that you can limit the damage depending on when and how much you indulge. Also bear in mind that alcohol affects everyone a little differently so blanket recommendations are tricky. If you like a pint of beer after your circuit session, you won’t undo all your hard work. But you certainly aren’t helping your body recover optimally. Alcohol can slow your protein synthesis, the process that aids muscle growth, and a heavy drinking session makes the effects on protein synthesis even more pronounced. Also, forget what you might have heard about drinking a post-race beer for the carbohydrates and electrolytes because it just doesn’t contain enough to make any difference. Instead, choose a more beneficial post-workout drink. 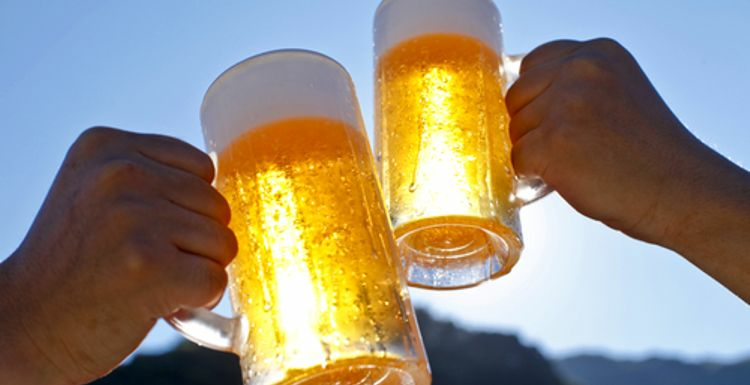 Whilst one drink after a light workout is relatively harmless, don’t swap your recovery meal for a “recovery beer”. This will damage your body’s ability to restock glycogen stores. Instead, eat some decent post-workout food first. While that last round of margaritas sounded good at the time, one night of drinking can leave you severely dehydrated, so sweating it out isn’t going to feel so great. Alcohol can also mess with your metabolism so if there’s still alcohol in your system you’re going to struggle with maximising fat loss potential. You’ve also got 75% less muscle protein synthesis going on. However, it’s important to unwind after a workout and if that means you hit your fitness goals slightly later but you’re ultimately happier then one drink is probably worth the sacrifice! what really doesn't help, of course, are the 'nights out' drinks - cocktails, shots, alcopops. They may be full of fruit but that doesn't mean they are a healthy drink! wouldn't it be great if a recovery beer did the trick? It can in warmer climes where the beer is much weaker, but I don't think a pint of real ale is quite the idea! Ha, I wholeheartedly agree with the last paragraph - it's definitely worth the sacrfice for my partner having a post-workout beer sometimes. For him, a can when he gets home really gives him something to look forward to after he works hard at the gym. Damn, I really enjoy my 'recovery beer'. I shouldn't have read this article.